British Customs honors the Bonneville Salt Flats in their Legends Series on the heritage of motorcycling. Motorcycling as we know it has changed. But those changes were gradual, as motorcycle technology advanced step by step and the people who created the heritage of motorcycling, from the lifestyle to the bikes themselves, were slowly forgotten. Many of the legends of motorcycling were never digitized, and all their stories have been locked away in forgotten storage sheds around the country. British Customs, a lifestyle brand and designer of aftermarket motorcycle parts, refuses to let the heritage of motorcycling be lost. They have been locating the remaining legends of motorcycling to interview and profile them, digitize their archives, and reach out to their networks to revitalize the important and rich history of motorcycling. British Customs has been establishing on their blog an authoritative archive documenting the major figures that created motorcycling as we know it today, including racers, races, machines, personalities, tuners, designers and more. British Customs is calling this project the Legends Series. The Legends Series bridges the past and the present by bringing the powerful stories of motorcycling that haven’t been told in decades to a new generation of riders. Riders can get their own piece of history with the new lines of parts British Customs released that were designed in collaboration with living legends such as Eddie Mulder, Richard Pollock, and Sonny Nutter. British Customs has also published the build notes for a number of custom motorcycles they built with these icons, including the Triumphant which was designed with Mulder, the Sonny Nutter Tribute designed with Nutter, the British Customs X Mule Motorcycles Tracker Classic designed with Richard Pollock, and the Spirit of Gyronaut designed with the heirs of the original Gyronaut X-1 team. The parts on these custom motorcycles feature retro-inspired products such as British Customs’ new Drag Pipes, Slash Cut TT Exhaust, Pro Builder Series Mule Motorcycles parts, the Stainless Steel Collection, and more. 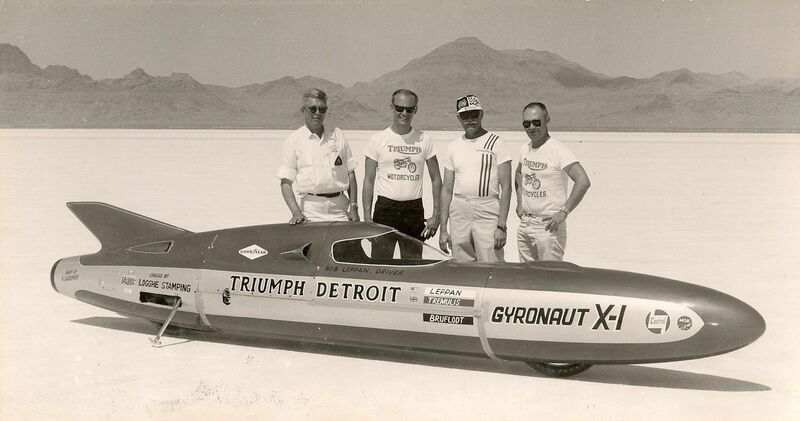 This week, British Customs published a piece on the legendary Bonneville Salt Flats, home to the famous Bonneville Salt Flats International Speedway where Speed Week is held every year, on their blog to continue growing their archive. The Bonneville Salt Flats are located in Utah, and are a marsh year round except in summer when they dry out and create a tacky surface perfect for racing on at extremely high speeds. 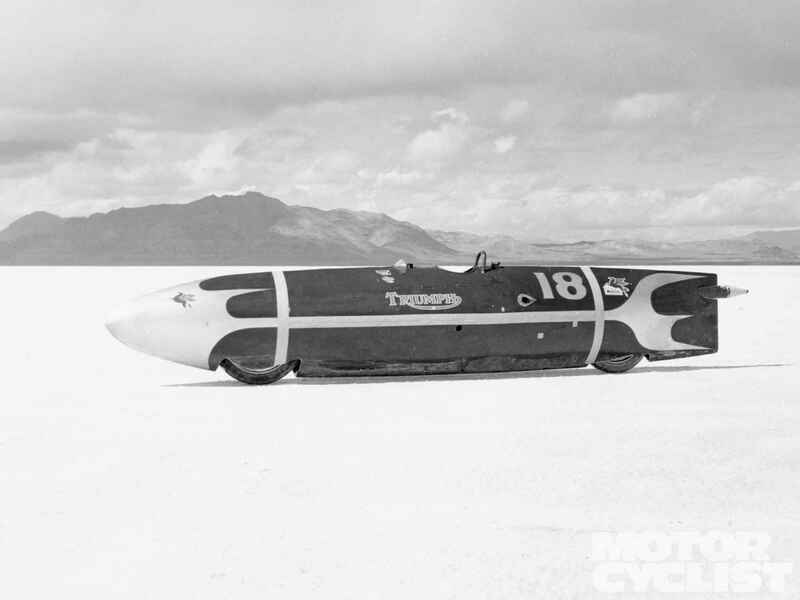 In 1935, Sir Malcolm Campbell put the Bonneville Salt Flats on the map when he became the first person in the world to travel faster than 300 miles per hour. After setting the absolute land speed record, competitors from all over the world started gathering on the Salt Flats every summer to vie for the title of being the fastest person on earth. Such names as Johnny Allen and the Gyronaut X-1 are among those to have set absolute world speed records on those hallowed grounds. In the heyday of vintage motorcycle racing, all the bikes used by racers, stuntmen, daredevils, were the same as that of the common rider: a production street bike that could be purchased at any local dealership. In step with this, British Customs published a series of style guides on their blog about how to convert any Triumph Modern Classic including the iconic Bonneville, Thruxton, and Scrambler into a number of authentic retro style motorcycles such as a tracker, cafe racer, scrambler, desert sled, bobber, hot rod, resto-mod, and more. Each week, British Customs will publish at least two pieces on the iconic figures, events, machines, tuners, locations, and racers who established the motorcycle lifestyle and heritage that riders carry with them today.